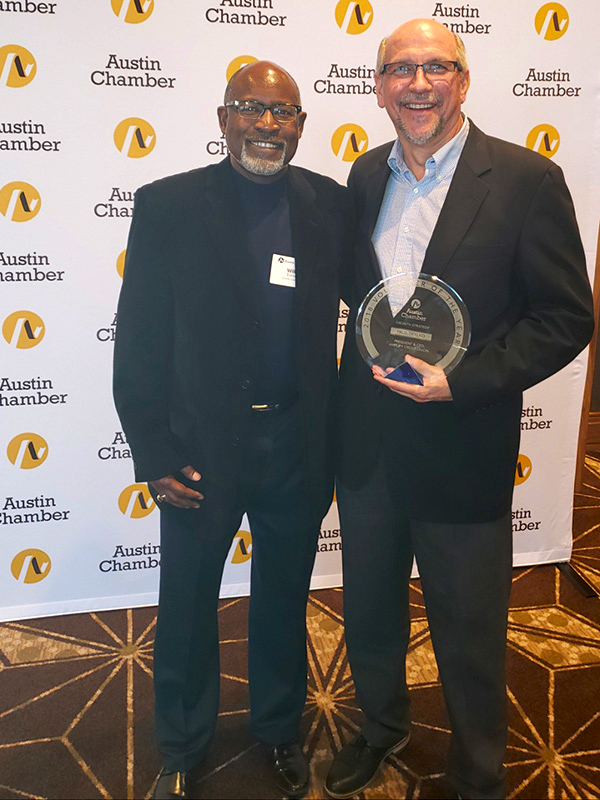 AUSTIN, TX - January 09, 2019 - Amplify President and CEO Paul Trylko has been named a 2018 Chamber of Commerce Volunteer of the Year. Paul earned this honor after serving four years as a Vice Chair of two Councils, first for the Member Relations Council and most recently for the Chamber Experience Council. 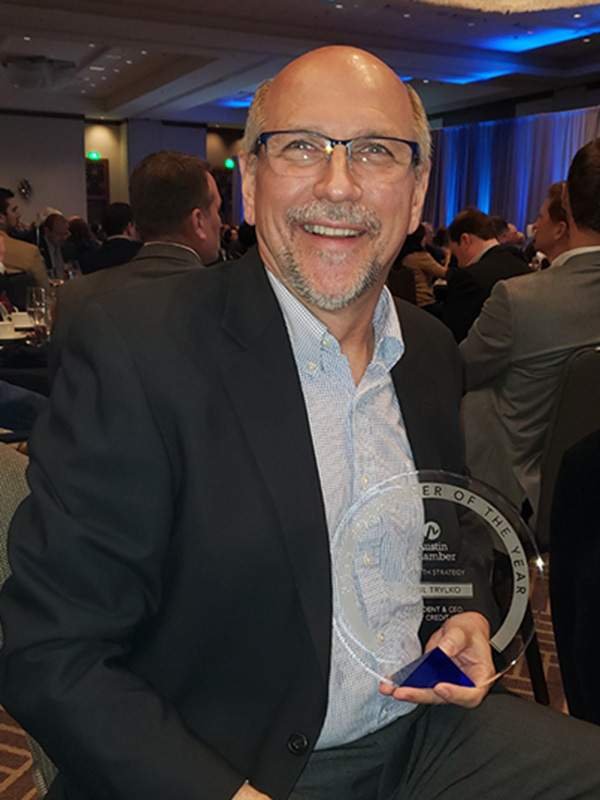 In addition, he pulled double duty this past year as a member of the Growth Strategy Council, for which he has now been named Volunteer of the Year. Paul Trylko accepts his award at the Chamber of Commerce annual meeting on February 5th. Amplify President and CEO Paul Trylko and Amplify Chairman of the Board Willie Everett.